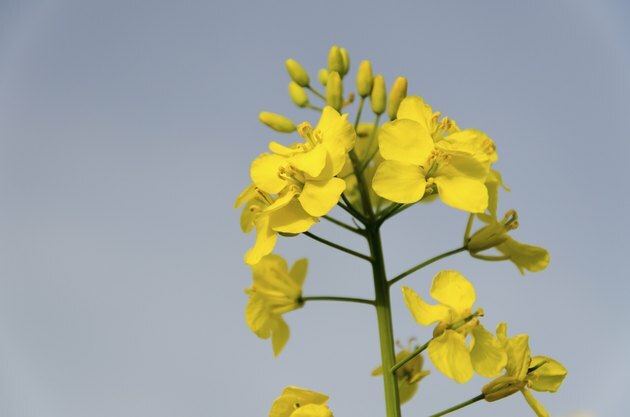 Mustard plants have large leafy greens and yellow flowers. 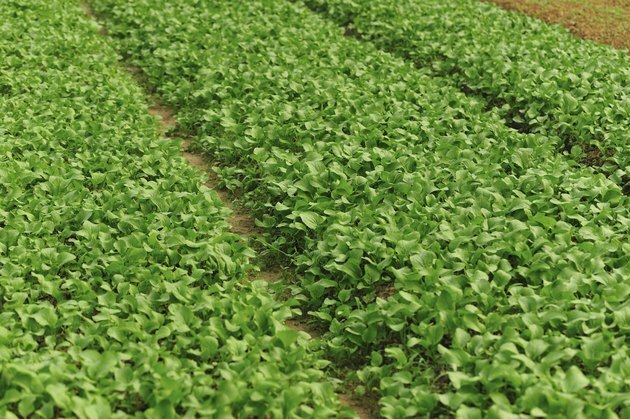 They are sometimes called mustard greens, white mustard or leaf mustard. Mustard leaves are broad and flat veined. Typically dark green, they can have purple streaks and appear curly or smooth, with toothy edges. Mustard leaves cluster together as they grow. 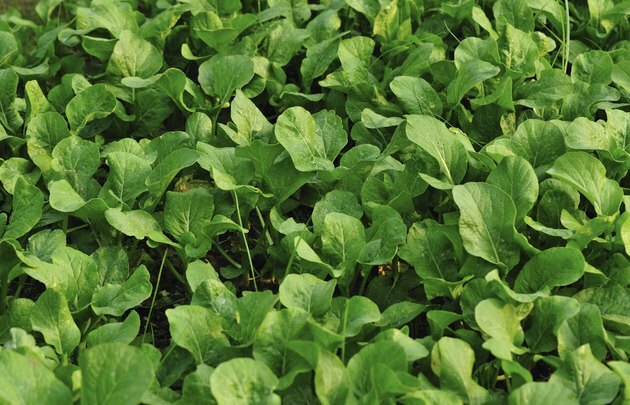 Mustard leaves grow from shoots in clusters close together rather than from a single head, like lettuce. 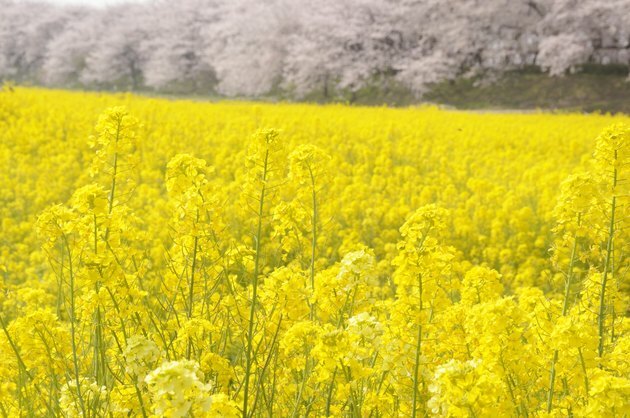 Mustard plants develop bright yellow flowers with four petals and six small stamen. The flowers are edible, as are the leaves. 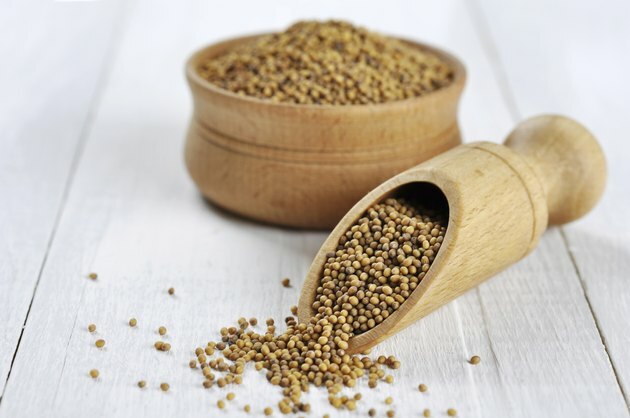 Mustard plants have long, skinny seed pods. Sometimes colored black, purple or green, the seed pods split in the middle to expose small black or dark brown seeds. 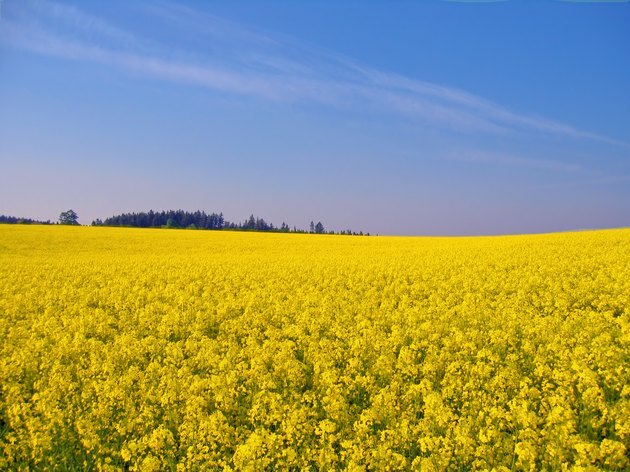 Mustard plants grow throughout most of the North America, Europe, South America and Asia.